Very interesting placement of Venus in Scorpio currently. She is in detriment (-5), but is the day triplicity ruler of water signs (+3) and is dignified by term (+2). This is an excellent example of why we don't want to fall into the trap of turning everything into a number and just adding and subtracting numbers. Venus' essential dignity score is 0 but her current state cannot simply be equated to being peregrine. Of course this raises the issue of what peregrine means. There is certainly significant support in traditional sources for saying that peregrine is as bad an affliction as being in detriment. Lilly gives peregrine -5 just like being in detriment. Christian Astrology, page 115. I don't follow this based on logic and experience. First being in detriment or fall are when planets are in signs opposite to the sign they rule or are exalted in, these are signs that are quite contrary to them. I don't see why the Sun in Taurus, for example, should be considered to be so terribly afflicted. The other problem is that traditional astrology attempts to accurately map reality. We have a very nice graduation of essential dignities from +1 (face) all the way to +5 (sign), but only -4 (fall) and -5(detriment) Having peregrine at 0, which makes sense because the planet has no dignity or debility, fulfills a very important role, the very frequent situation of having no strength, but not being afflicted either. Finally my experience in judging over 4,000 horaries for clients is treating peregrine = 0 gives accurate results. YMMD! So back to Venus +5 and -5 simultaneously. I'd say moderns are very statistically oriented, except that Lilly was too, look at Christian Astrology, page 115 already referred to where he lists + or - for every accidental and essential dignity. So you can say Jupiter is +12 instead of dignified by face, rising, direct and swift. So much nuance is lost with this approach and we get a false sense of precision. I find Venus in Scorpio endlessly fascinating in terms of providing very detailed information about the person or thing signified. At the degrees she is now, this shows someone with very strong positives and yet equally strong and countervailing negatives, or someone very torn between two alternatives. 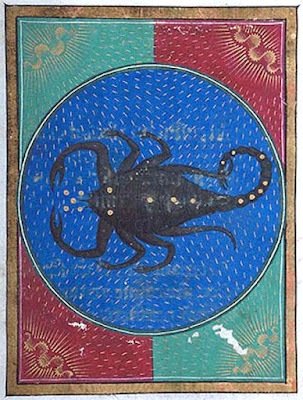 We can almost see this in Scorpio, obsessively turning over the options, unable to tear oneself away from intense desire and overwhelming abhorrence. This sort of nuance is what is so useful and so fascinating about traditional astrology!